Just a joke. No hard feelings! 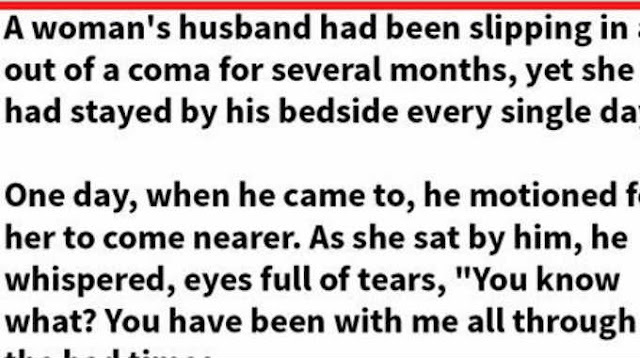 "A woman’s husband had been slipping in and out of a coma for several months, yet she had stayed by his bedside every single day. One day, when he came to, he motioned for her to come nearer. As she sat by him, he whispered, eyes full of tears, “You know what? You have been with me all through the bad times. You know what?” he concluded. “What, dear?” she asked gently, smiling as her heart began to fill with warmth.